During the BrewExpo America, Ziemann will be presenting its newly designed dome top made of weather-resistant plastic material. Due to this material, the dome top is extremely robust and very user-friendly. In case you haven’t noticed the insane amount of new and cool products being released at the Craft Brewers Conference in Portland in April (#CBCPreview), here’s another one. At the unparalleled trade fair BrewExpo America, Ziemann International GmbH from Ludwigsburg will be presenting products and services, which are particularly interesting for craft brewers. At the Ziemann booth 143, the focus will be on tank and mash filter technology. With the membrane mash filter Butterfly, Ziemann provides craft brewers with a lautering technology that is particularly suitable for their framework conditions. The mash filter with its blind plates is able to process very small batches. Moreover, the lautering of alternative cereals or starch sources is easily possible, allowing the brew master the flexibility he needs to be inventive, as well as to brew beers with a higher original gravity. A significant distinctive feature of the Ziemann membrane mash filter is that the sparging of the spent grains cake can be performed from both sides. As a result, the mash filter cloths must be cleaned less frequently. Another special feature is that the mash filter consists of both membrane plates and chamber plates. This increases the service reliability, results in lower maintenance costs and has positive effects on the investment costs. The combination of an automatic plate transport and an automatic cloth cleaning system enables the brewery to produce a high number of brews. These automatic devices are either already installed upon delivery or will be modular retrofitted. In the field of the tank technology, Ziemann will be presenting its newly designed dome top area: The dome top and the connected dome ring consist of a 12-mm thick, weather-resistant plastic material. Due to this material, the dome top is extremely robust and very user-friendly with a weight of just 15 kilograms. Moreover, the dome is characterized by a high degree of flexibility: it is, for example, suitable for each height of the fittings, it is available with diameters of 1.000 mm or 1.200 mm and it can be installed with or without insulation. In connection with the dome top, Ziemann will be presenting a catwalk support system that is no longer running through the tank insulation, as well as a catwalk made of stainless steel. This catwalk convinces with regard to occupational safety and its price-performance ratio. 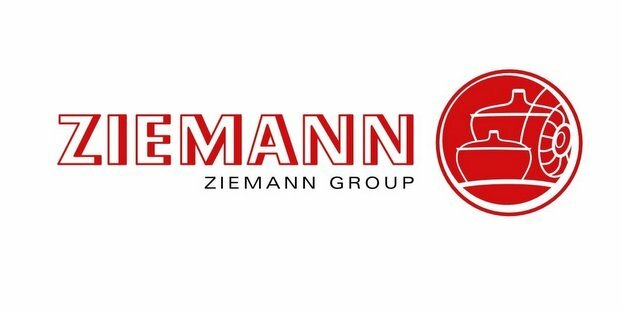 Last but not least, Ziemann will demonstrate at the BrewExpo America that all solutions are developed by brewers for brewers, independently of the size of the brewery. For the creative craft brewery this means: Ziemann provides an energy- and yield-optimized plant with the same sophisticated technology and tried and tested innovative solutions, as used in large breweries. This plant allows the brewery to respond more effectively to the raw materials and to create individual boiling processes. Shade Tree Brewer liked this on Facebook.